The refinery is continuing to monitor the air quality and sharing results with government officials. The Detroit Health Department is warning those sensitive to odours to keep their windows closed. There was potential emission of fumes from Marathon Refinery around 3 p.m. Friday. There were also fumes released last Friday and earlier this week. The release was from a flare. Multiple departments performed air monitoring on and around the facility and found no dangerously high levels of toxic substances that could pose health and safety risks. However, the health department says people who are very sensitive to odours may experience symptoms like nausea, vomiting, headaches or difficulty breathing. "As a precautionary measure, we will continue air monitoring for several hours after we deactivate the flare, in case there is any residual gas in the flare during the final deactivation process," said the department in a statement. 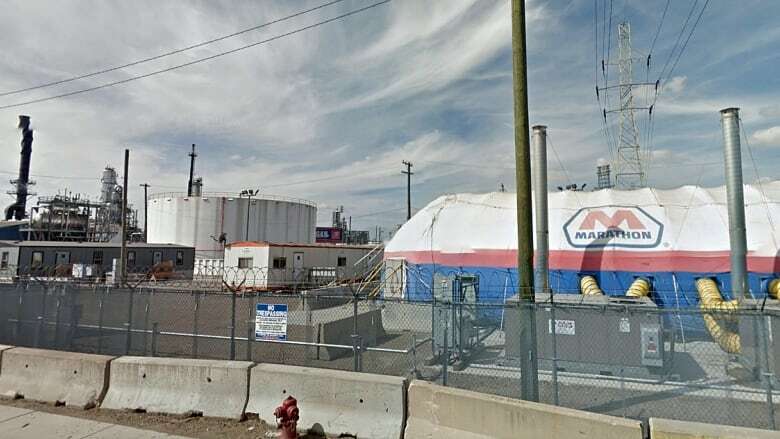 A statement from the refinery earlier Friday said the company is continuing to conduct air monitoring and sharing results with government officials. "We plan to begin repairs to the malfunctioning flare this afternoon." The health department says people experiencing severe symptoms should contact their medical provider.